Throughout society, but especially for women, heavy drinking has been normalized. That’s dangerous. According to the article, white women are drinking dangerously, with more than a quarter drinking multiple times a week (up 40 percent since 1997). The rate of alcohol-related deaths for white women ages 35-54 has more than doubled since 1999. The article continues, “Jokes about becoming inebriated are common. One Twitter ad features a woman with a bottle the size of a refrigerator tilted toward her lips. Its contents: Fireball Cinna-mon Whisky.” Women are also frequently shown drinking to cope with daily stress. 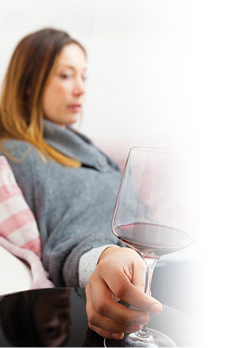 Keep in mind that for women, 5 ounces of wine per day is considered the maximum for “moderate drinking.” Anything more than that typically outweighs any potential health benefits. This is a difficult topic, but it is important to be aware of the tide of social media and influence encouraging alcohol as an escape. Hat’s Off … to Hats!